But what if the idea of spending your hard-earned vacation surrounded by the masses is your idea of hell? What if you crave peace and quiet, tranquillity, France off the beaten track, a place where you can recharge your batteries and thoroughly unwind? Where in France should you go? We have some ideas for you. 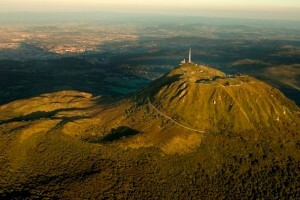 For a holiday in France that is truly off the beaten track, head to the Auvergne. 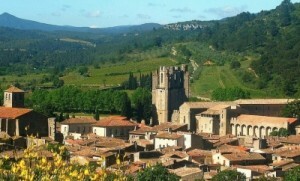 This is the real heart of France, an area where you can be sure of escaping the tourist crowds. It’s a dramatic landscape of extinct volcanoes, criss-crossed by quiet roads, dotted with pretty little villages and blessed with superb cheeses. 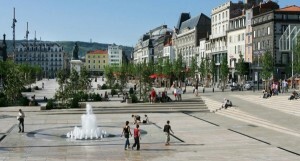 It is also easily accessible with cheap flights from the UK into Clermont-Ferrand which in itself is a beautiful place to visit. Spend a day at Vulcania with the kids and learn about the volcanic history of the area. Experience the creation of the earth through exciting underground rides, interactive platforms, 5D films and high-tech innovations. The experience is sure to captivate the imagination of adults and children alike. Put on your hiking boots and explore the best that Mother Nature has to offer amongst the rolling hills and mountains of the Livradois Forez natural park east of Clermont. Stay in a B&B in the Auvergne and benefit from local knowledge, advice and recommendations that will help you make the most of your precious holiday time. Avoid overcrowded Provence and the French Riviera in the summer holiday period. Head instead to the other south of France, the south west, and experience the variety that is to be found in the Languedoc-Roussillon area of France. This is a land of vineyards, bordered to the north by the Montagne Noire hills and, to the south, by the coastal villages and uncrowded beaches of the Mediterranean. Here, you really can explore off the beaten track and discover some absolute gems on your holiday. 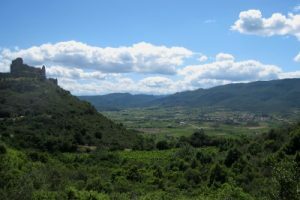 For history and culture, visit the Cathar castles and the numerous abbeys and churches in the area. The peaceful and atmospheric Abbaye de Sainte Hilaire, the Abbaye de Lagrasse the chateau de Peyrepetuse and Queribus should all be on your list. Discover the beauty of the Camargue, an area on the coast renowned for its bird life, flamingos, seafood, sea salt, horses and bulls. While you are there, visit Aigues Mortes, the more authentic, less touristy and, I would argue, more evocative alternative to Carcassonne. For those needing action on their holiday to France, wake your legs up on the numerous off the beaten track waymarked walks and mountain biking tracks that the area has to offer. 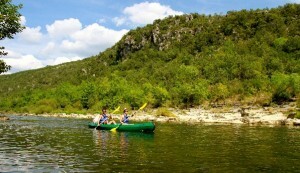 Or how about a day kayaking on the tranquil rivers that run down from the mountains. Stay in a bed and breakfast in Languedoc Roussillon and you will not only discover the best places to purchase delicious wines but also the best places to visit and best things to see in the area. There are some delightful places to discover away from the main tourist centres of Beaune and Dijon in Burgundy. Burgundy is known first and foremost for its wine. 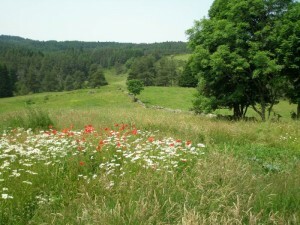 However, head west of Beaune and you arrive at the Morvan regional natural park. 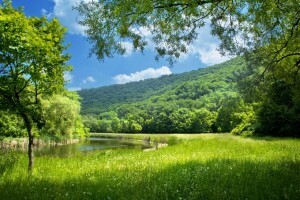 It’s an area of outstanding natural beauty in which clean, fresh air and space to breath are the order of the day. It’s a wonderful environment of rolling farmland, rivers, lakes, quiet country lanes and numerous waymarked walking trails. Peace, perfect peace. On a hot summer’s day, Setton’s lake or Chaumecon lake provide refreshment and entertainment. There are numerous mountain biking trails, fishing possibilities as well as swimming, pedalos and canoeing. There’s plenty to keep the family occupied here! There are numerous accommodation possibilities in Burgundy. Couples who wish to celebrate a special occasion will appreciate the luxury of an intimate Boutique B&B in Burgundy, whilst the bed and breakfasts in Burgundy are generally superb value. Of course France is a big country, so head away from the tourist honey spots and go exploring off the beaten track for a holiday in France that will fully recharge those batteries!